Based on Rooster Teeth’s hit series, RWBY: Grimm Eclipse lets you fight your way through a new story featuring the ladies of Team RWBY. This stylish action / character action game offers varied gameplay thanks to the four distinct playable characters and presentation that makes it look and sound just like the show. 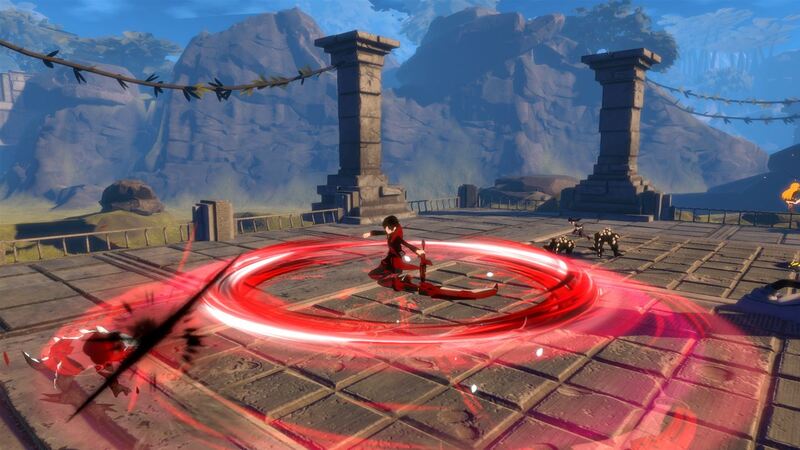 The clear design focus on online co-op means the single-player mode is a little on the boring side, but if you have friends who love the show and want to play, RWBY: Grimm Eclipse is worth a look for character action fans. See all of the details here in our full Xbox One review. I have to admit that I’m not approaching RWBY: Grimm Eclipse as a big fan of the show but rather as someone that loves character action games and especially games with awesome female characters to play as. 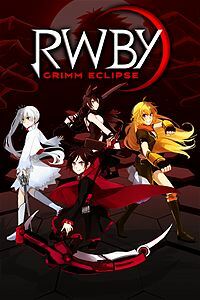 For those of you that are RWBY fans, Grimm Eclipse takes place between Volume 1 and 2 of the show, storyline wise, and features all four members of Team RWBY as playable characters. Team JNPR is also available as paid DLC that will set you back another $5. For me, though, the gameplay is what attracted me to RWBY: Grimm Eclipse and I’m pretty satisfied with what is on offer here. 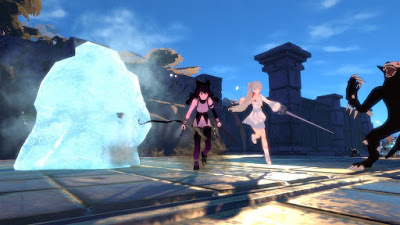 The game uses a fairly simple character action gameplay foundation of having light and strong attacks that, when used in different combinations, produce different moves and combos and you can also fire projectiles, because all of the melee weapons in RWBY are also guns, to stun enemies and extend hit counts. Similar to the Batman Arkham games, and many others in the last few years, you can also counter attack enemies when a little icon appears over their heads. Other defensive tactics include a jump and dodge, which can both also lead into their own new combo strings. And, finally, when you build up enough energy you can unleash a powerful ultimate attack that deals massive damage and can hit multiple enemies at once. All of this comes together into a pretty solid character action game. It isn’t quite as deep as some others, but the game isn’t terribly long – just a few hours – so you’re done with it before it wears out its welcome. More importantly is the fact that the four playable characters all have unique weapons and distinct fighting styles and move sets, which gives the game good replay value. Each character is upgraded and leveled up individually, so getting the most out of the game requires multiple playthroughs. It has to be said, however, that RWBY: Grimm Eclipse was clearly designed with co-op in mind and, in fact, a single-player mode was only added late in development. The result is that playing solo is pretty boring, since you miss out on team attacks and the craziness that playing co-op brings, but it can also be surprisingly challenging even on the lowest difficulty level. I can’t really recommend it if you plan to only play solo. Unfortunately, the implementation of co-op isn’t entirely optimal, either, as it is only online co-op and there is no option for local couch co-op. Smartly, the game was designed with smooth drop in / drop out online play and the difficulty dynamically changes based on how many players are present, so you can join up with strangers and play if you want pretty easily. However, not everyone likes to play online with randos and not everyone has friends who will be willing to buy the game, so I would have much preferred that a local co-op option was available. More options are always better. One area that you can’t really complain about is the presentation. RWBY: Grimm Eclipse the game looks almost exactly like an episode of the RWBY show. It’s pretty impressive, really. It sounds just like the show, too, thanks to using the same great music and voice actors from the show. All in all, RWBY: Grimm Eclipse is a solid character action game that fans of the genre as well as die-hard fans of the show will enjoy. I would have preferred if it had a stronger single-player showing or any semblance of local co-op at all, but if you have friends who also plan to buy the game, or you don’t mind playing with randoms online, it’s definitely worth a look. I can’t really recommend it if you only plan to play offline, though.